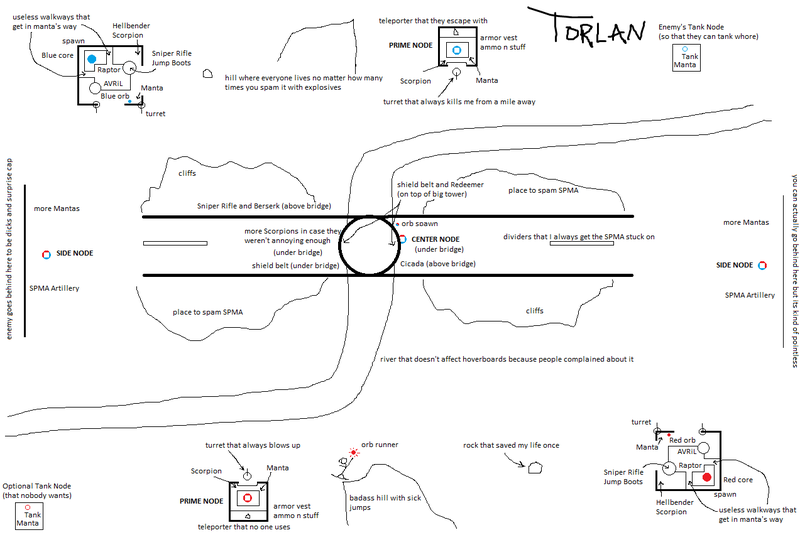 Gameslaya posted this excellent and hilarious Torlan walkthrough on the Epic forums. Hopefully he will do more of these! Love the commentary. It’s great someone took the time to map it out. I agree especially with the useless walkways that get in the manta’s way, although I must confess I’m not much of a manta driver. Yeah hopefully he will do more. Pretty funny commentary.